Musical Director Joel Farland joins Claudio to share their experiences in song writing, production, live performances and touring. 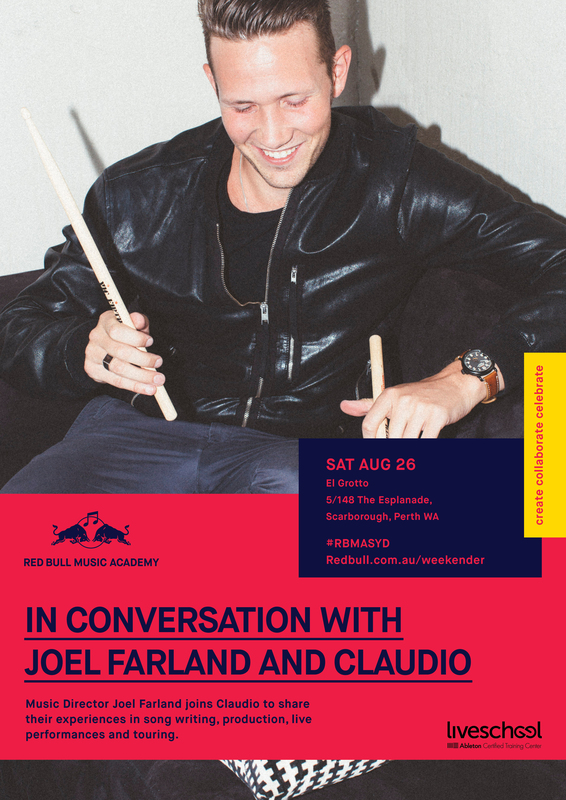 Leading musical director, producer, drummer, and Ableton Liveschool course contributor Joel Farland will headline guest lectures in Perth, Melbourne, Adelaide and Brisbane, revealing the inner workings of his creative process, as he regularly turns studio tracks into renowned live productions. Farland's expertise has seen him musically direct acts like Peking Duk, Hayden James and Cosmo's Midnight, as well as tour globally with acts like Broods, and Van She. Farland will lead lectures in Perth, Melbourne, Adelaide and Brisbane, giving insight into transforming studio tracks for live production and touring purposes. Liveschool guest Claudio will join the lecture in Perth, working through their unique songwriting and production knowhow.